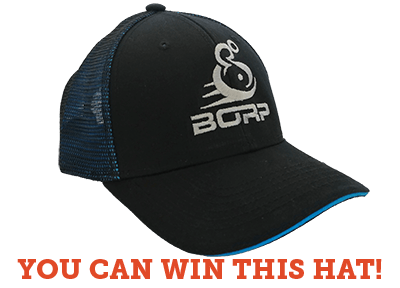 We’ve been happily giving away these nifty BORP hats every Tuesday to the Revolution rider who raises the most money that week, but recently something unexpected happened. Annie Kaferle registered for the Revolution on Monday afternoon. And by the time we were calculating the winner of the week’s hat giveaway, she was squarely in the lead. When the contest officially ended at noon on Tuesday, Annie had raised over $700. In less than 24 hours. Click here to download images like this one to share on Facebook, Twitter, and Instagram. 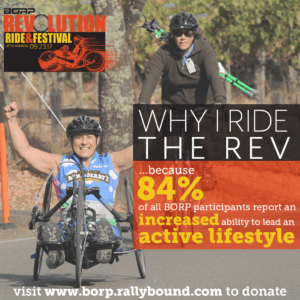 If you haven’t registered for the 15th Annual BORP Revolution Ride & Festival yet or haven’t started fundraising, don’t worry. There’s still time to meet and exceed the $400 minimum fundraising requirement. Try personalizing the templates we provide, like Annie did, with your own reasons for supporting BORP and sending it to your friends, family, and coworkers. Be sure to include the link to your personal or team page. 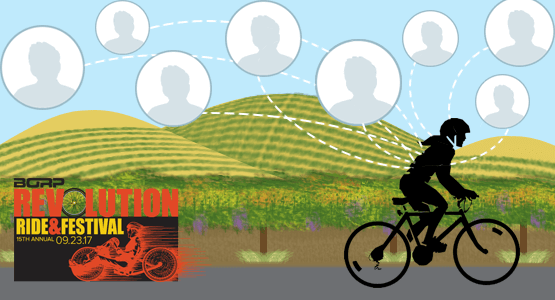 You can also post something similar, including the link to your fundraising page and your reasons for getting involved with BORP and riding in the Revolution, to your Facebook page.